The Vein Miner Mod lets you designate all connected minerals to be mined, even if you can’t see them. Works on any mineable tile, including stone. Simply click on the new mining icon and then click on a mineable tile and all the adjacent tiles will be designated automatically. 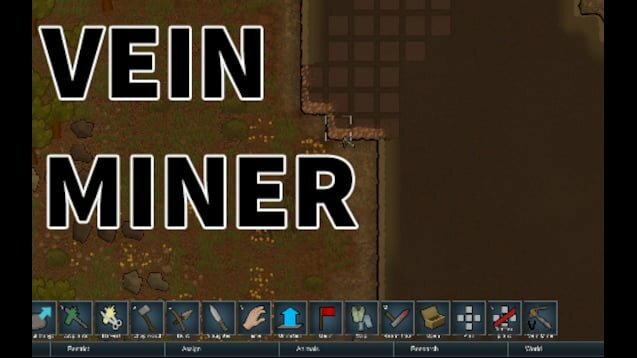 The Vein Miner Mod is a simple yet very necessary mod. With it you won’t have to pay attention to how your miners are doing to keep on marking the next tile, and the next, and the next… simply mark them all at once!